Universal Studios Japan is something of an odd duck when it comes to the chain of Universal Studios theme parks. 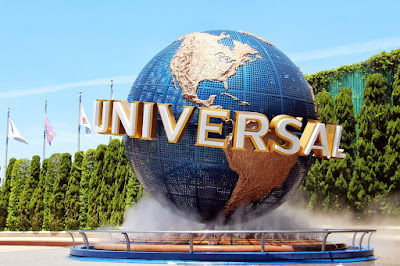 Yes, like its brethren the USJ has included among its attractions some properties that are licensed from other companies and studios that normally compete with Universal on the cinematic front. What is unique about the Japan Park is that some of their licensed properties are homegrown names. It has a themed area for Sanrio, which features Hello Kitty and friends with at least two fixed attractions to it. There’s also a live-action spectacular on a water set that’s in the vein of the highly-awarded “Waterworld” extravaganza, but this one features characters from the ongoing hit manga and anime “One Piece”. Now another Japanese property is soon to take root at the USJ. According to USA Today, in synch with the upcoming 2020 Summer Olympic Games in Tokyo, Universal Studios Japan will also open a new themed area in their park based on one of the biggest names in Japanese pop media: Nintendo. By that same year USJ will proudly present Super Nintendo World, a large-scale addition to the various attractions in the park. Super Nintendo World will feature a large variety of rides, interactive exhibits and souvenir shops all tailored to the game company’s massive stable of memorable characters, from Super Mario to Donkey Kong and possibly “The Legend of Zelda”. That’s not all; this will not be limited to Japan alone. An agreement has been reached between Universal and Nintendo, to see that the other Studios from Florida to Singapore will start planning on having their own Super Nintendo World areas, although no final word has been given on the projected timetable for when these areas will even open outside of the one in Japan. It’s been estimated that up to $434 million will be spent in developing the new attraction for USJ. On the flipside, the opening of Super Nintendo World could see up to 1.1 million jobs in Japan connected to the attraction, from performers to maintenance personnel and shopkeepers. Furthermore, a projection of operational profit up to a decade after 2020 could see Super Nintendo World boosting the economy upwards of $100 billion. Super Nintendo World is the latest in the widespread diversification approach being taken by Nintendo to grow its revenue sources beyond its primary market of videogame consoles and games. Already the company has been seeing promising results in their inroads to smartphone app games. “Pokémon Go” developed by Niantic proved a smash hit with its introduction, and soon Nintendo will debut their first in-house developed smartphone title, “Super Mario Run” for iOS. Nintendo principal mover Shigeru Miyamoto, who created Super Mario and many of the company’s major game franchises, is collaborating with Universal Creative president Mark Woodbury on the design and attractions for Super Nintendo World.